Deep in the heart of New York City, a fresh new innovative singer/songwriter has surfaced. After years of growing and polishing, Tawana Lael is considered a triple threat in the entertainment industry and she's quickly claiming her place on the world's entertainment radar. Tawana Lael was recently recognized by the Billboard World Song Commitee, for her song "Plan B". It was recognized as one of the top songs in Billboard's 17th Annual World Song Contest. 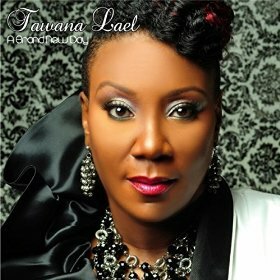 Tawana Lael's album "Journey To Love" is set to be released on August 31, 2010 and will be available for purchase at www.tawanalael.com and all major online music retailers. The first single "Journey To Love" was released January 2010 and debuted at No. 7 on Mediaguide/Radiowave Urban Satellite Radio; making Tawana the first Independent female artist to do so this year. To date "Journey To Love" has received well over 4000 spins on Internet, Satellite, and Terrestrial radio stations. Tawana Lael's video's, which can be viewed at www.youtube.com/tawanalael have received over 75,000 views. This gifted vocalist has performed at various clubs around New York City such as Sweet Waters, The Waldoff Astoria and Reins. Tawana has also appeared at the world famous Apollo Theatre, where she won first place five consecutive times. Tawana Lael currently resides in Atlanta GA, where audiences have enjoyed listening to her perform live at The Underground Atlanta during The Heritage Arts Festival, Sambuca's Jazz Cafe, The Apache Cafe, Centennial Park, Uptown Restaurant and Lounge, The Blue Room, The Georgia Aquarium, Barley's, KC Pit Restaurant, Londzell's Martini Lounge and Restaurant and Soundstage. As an actress and musical theatre artist, she has performed at The Mint, The Trilogy, The National Black Theatre and the 23rd Street Playhouse in such plays as "The Dawn of Rythm and Blues", "Sisters Of The Church", "On The Edge" and the one woman show "Sojourner Truth", under the direction of Hilda Willis. Tawana has shared the stage with some of today's top entertainers including Alimi Ballard (NBC's Numbers), Ankh Ra (Making The Band 4), India Arie, Malik Yoba, Kadeem Hardison, Lisa Lisa, and Doug E. Fresh.